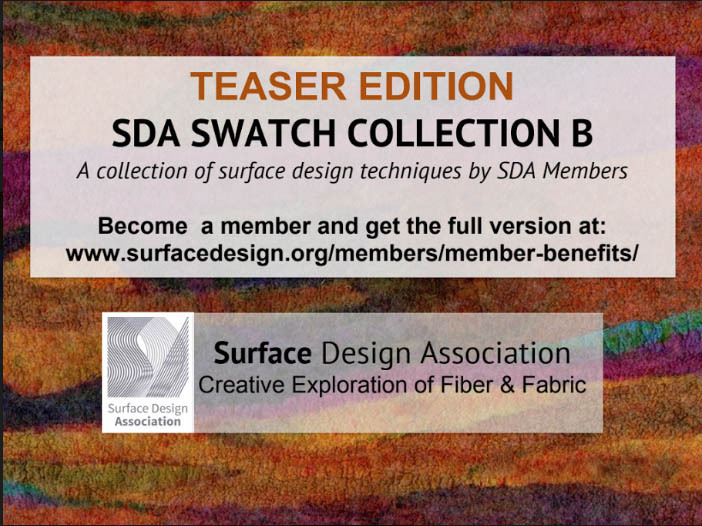 Created by SDA members, the three separate SDA Swatch Collections include over 250 sample textiles. Each collection contains unique samples. Swatches are 12” x 12” and reflect the full range of surface design techniques. Everyone can view teaser slideshows by clicking the images below. 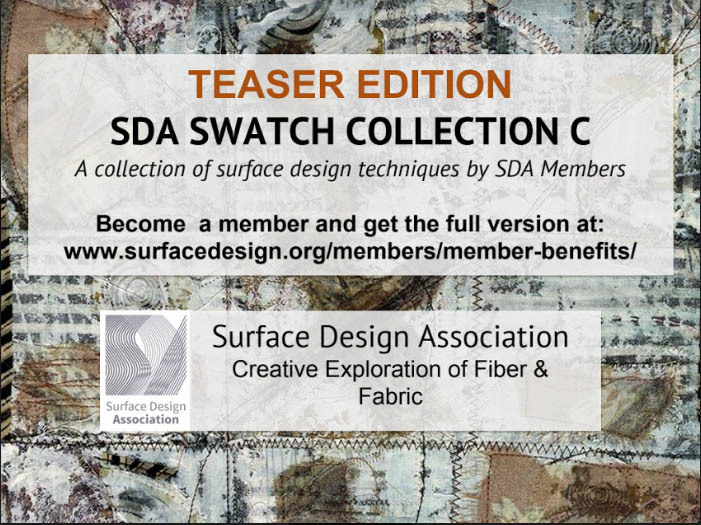 Members can view or download Swatch Collection Slideshows by logging in. For instructions on how to find the Swatch Slideshows see this guide. SDA Members and regional groups may borrow, view, or download a complete collection to inform their next class, critique, or local meeting. To learn how to request a Swatch Collection, see the Swatch Collection FAQs. 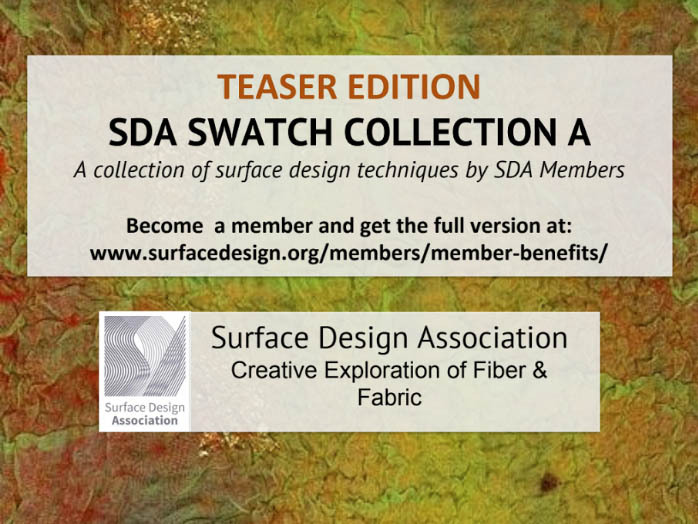 For more information on the Swatch Collections, contact swatch@surfacedesign.org.